By way of introduction I am a Senior Counsellor, a Registered Psychotherapist and an Accredited EMDR therapist. I have many years experience of meeting with clients in both my private practice and for the NHS where I have worked in different roles in mental health services for almost forty years. 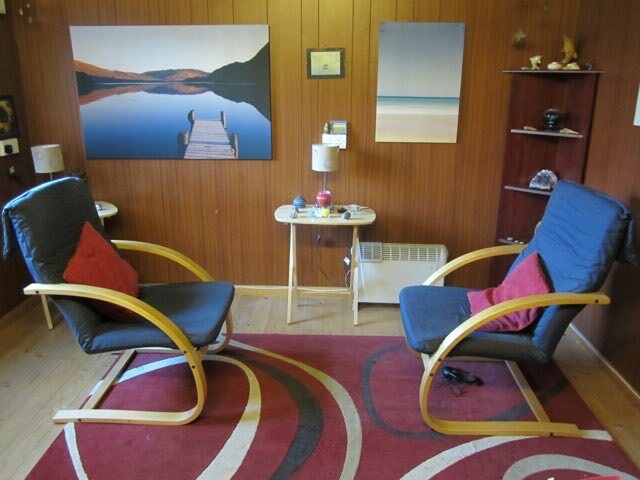 Providing a successful counselling and psychotherapy service in Hull for over twenty five years, I meet clients in my private therapy room which is situated in a pleasant cottage style garden environment to the rear of my home. I am passionate about my work and see the positive benefit of therapy. I have great experience of meeting with people who have concerns related to life, its stages and their experiences. This may be for short or longer term therapy. •	The distressing impact of the end of a significant relationship. •	The confusion, emptiness and sadness often experienced following a bereavement or loss. •	Anxiety, depression or stress. •	Anger, bewilderment and the hurt experienced as a result of emotional, physical or sexual abuse. •	Disturbance to your well being following a traumatic experience. •	Low self esteem, shame or lack of confidence perhaps as a result of being bullied or humiliated. •	Often people feel unhappy, sad or lost without having a clear understanding why. Having participated in many years of training, I have substantial experience of working as a psychotherapist. A current area of special interest is in working with trauma and as such I have committed to specific in depth training in this area. The therapeutic journey can be a nourishing and rewarding experience which may also be demanding of your commitment and time. I ask you to please give some thought as to what you would like to gain from counselling or psychotherapy and whether you would want to enter into therapy. There are many approaches and models of counselling and psychotherapy. This can often be confusing so please feel welcome to contact me for an initial chat if you have any questions and would like to find out more. Please click on the menu items on the left of the page to find out more about my Hull counselling and psychotherapy practice. Therapy Room: I have created my therapy room which is separate from the home in a private space situated at the rear of the garden. I aim to provide a pleasing and relaxing environment where you can feel at ease in a comfortable and welcoming setting. You are welcome to refreshments such as tea, coffee or water. Please feel free to ask if you require more information. Please note that the text used on this site (excluding information about EMDR) is the exclusive copyright of Stephen Derrick and should not be used without his expressed permission.